FFine Art Friday today from or rather with a picture taken in New York city. Can you guess where? 1. I don’t like to talk about myself very much (unless…). 2. I love to have a quiet hour just by myself and for myself in the morning. 3. If I could change one thing in my life it would be when I started to explore the world i.e. went to Australia (sooner). 4. If I was better at writing, I would have written the story of my life. If i were a better writer I would start a blog instead of following others. Loved your picture this week and would love to visit Australia. Glad you like it, Debbie. Australia is worth more than one visit! Oh, I can imagine that me-time actually at any time is difficult with kids. But then again… you have kids – that’s great in itself! Can’t do anything wrong with NYC pictures – I like it! Peti….. sorry to say, no, it is not. Downtown. It is 59th St/Central Park South 🙂 Not really sure if you can’t do anything (!) wrong with NYC pictures,.. but sure am happy to hear you like this one! I’ve love to see Australia. Do you regret going there? Claudia–that is a beautiful city skyline! I think you should write your life story via photographs! Happy weekend. Nice blue! 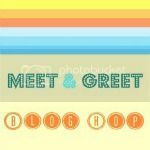 Thanks for the opportunity to blog hop! That is why they call it ‘the blue hour’, an expression not quite as common here in the US. The small time frame just between daylight and nightfall. Very beautiful and quiet. That’s a pretty twilight picture. I think if I had to change one thing it would have been to move to New Orleans back when I first wanted to. Thanks, Hilary! Hm, I guess you are right. Now that I look at the answers #1 and #4 do kind of belong to each other. It’s never to late to do #4! Wow, it’s so wonderful. Love to read your blog post.